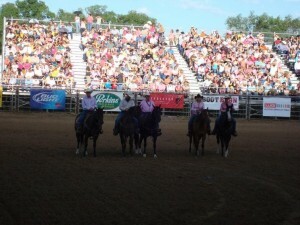 Rodeo week is always an exciting time for both the guests and the staff here at Eatons’ Ranch. The carnival, the street dance, and the excitement of the rodeo itself gives the staff a chance to get off the ranch for a little while and enjoy the nightlife of Sheridan. Friday night was Eatons night at the Wyo Rodeo, in which the Eatons family made a special guest appearance. It’s always great to get involved with big events like the Wyo Rodeo, but it’s fun for the ranch to participate in community events as well. 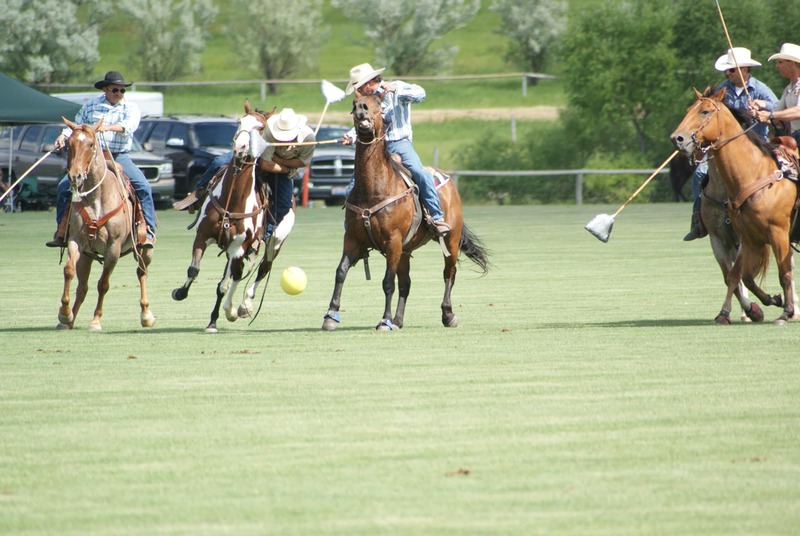 This last Sunday, the wranglers at HF Bar challenged our wranglers to a friendly game of Cowboy Polo at the Bighorn Equestrian Center. 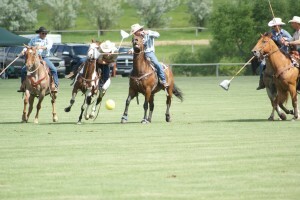 They faced during the halftime of one of the Polo matches hosted in the afternoon. In case you were wondering, Eatons’ Ranch came out on top! Everyone had fun and is looking forward to the next matchup. Check us out on Facebook for more pictures!